Signed lower right and dated 'Baselitz 59/73', copy 45/50. Heiner Friedrich Edition, Munich. 1973. 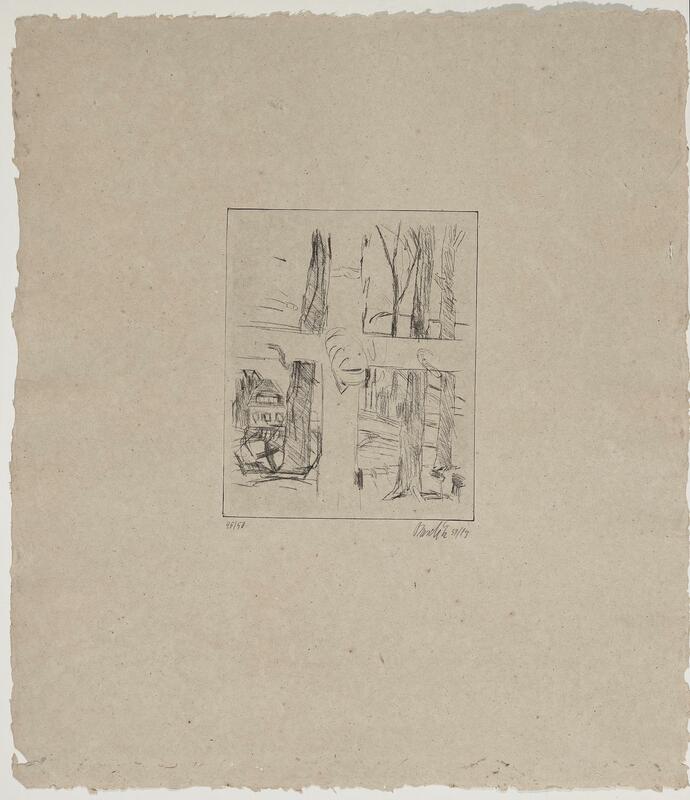 Catalogue raisonne: Jahn 108; Including: Lithograph on vellum, A.R. Penck, signed and numbered below, copy 6/15, sheet size: 63 x 75cm; lithograph on handmade paper, Karl Otto Gotz, signed lower left in the picture, copy 98/120, sheet size 73.5 x 58.5 cm; coloured lithograph on vellum, untitled. 1986, Rebecca Horn, signed, dated and numbered at the bottom. Copy 20/120.